5. You don’t even need cash or a credit card! Who wants to walk around the parks while carrying a stash of cash or a pile of credit cards? Not me. And you won’t have to if you’re staying on Disney World property. 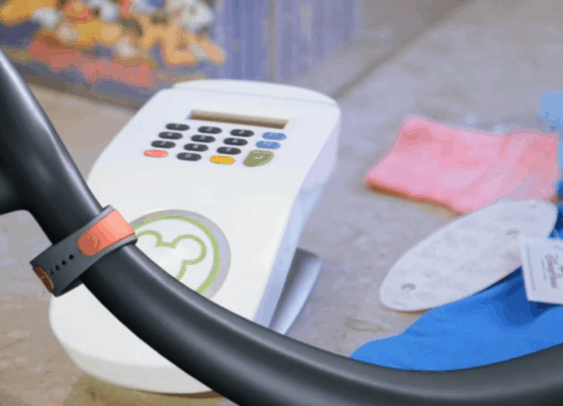 You can make purchases at shops in the parks with just the tap of your MagicBand to the Mickey head at checkout, along with your self-selected pin. No cash exchanges hands, you never have to swipe a card, and you won’t worry about losing money in the parks. It’s so convenient!